J. Johnson Higgins began his writing from a young age. In elementary school he was once asked to write a short myth as an assignment. From that point forward he continued writing short stories about magic and alternate worlds for fun. He continued this process on into his college years. 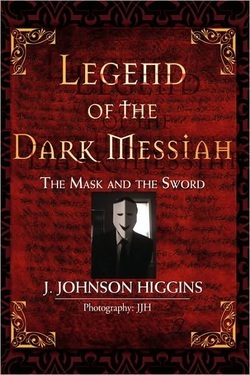 His first novel, Legend of the Dark Messiah: The Mask and the Sword, was published in 2007 and reissued in 2010. The novel was largely recognized as a refreshing new take on the Fantasy genre that combines an original modern-feeling world with a page-turning political conspiracy nicely woven into the plot. 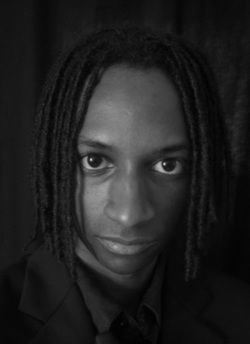 He is a ghostwriter that holds a Bachelor’s Degree in Political Science and a Master's in Public Policy from the University of Maryland, Baltimore County. He currently lives in Maryland. In the world of I-Star, an ancient legend speaks of a Divine Dictator who will bring about the downfall of the white magick that has dominated for centuries and activate a new era, ruled by vengeance. The I-Starians have no idea that this Divine Dictator is their president, Dmitri von Calvin: an odious man who wears a mask to hide his true intentions. Dmitri's followers are prepared to overtake the world in darkness, but first, there is the matter of a spell. Part of the ancient legend refers to a Dark Messiah, a dragon in human form destined to rise with the black sword and assist the Divine Dictator in his mission. A spell has summoned the Dark Messiah, Cassidy Ann Mage, from hiding; however, Cassidy's backing is not absolute because she has defied the dictator in the past. But that was before she felt the power of the black sword. Cassidy feels as though the black sword is controlling her behaviors and thoughts. Although this Dark Messiah believes the sword is meant to protect her, it may have evil intentions, and Dmitri is counting on its assistance as he is building an army of evil, beneath the guise of antiterrorism. Cassidy and her friends are I-Star's only prospect for defense, but first, Cassidy must escape the dominion of the black sword before it is too late. Cassidy soon catches the attention of a mysterious sorcerer, Dmitri von Calvin, who recognizes her as the Dark Messiah and wishes to harness her power for destructive ends. Cassidy learns of the sorcerer's evil agenda and the prophecy of the Dark Messiah. Rather than fulfill her role as a life destroyer, Cassidy makes a decision to stand and fight against the destruction of her beloved world. 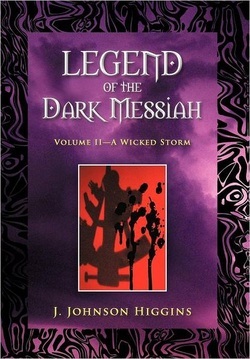 An epic fantasy full of larger-than-life characters, Legend of the Dark Messiah speaks to the incredible power of one individual to change the world.